Home » State Taxes | Blog » Can You Be a Resident of Two States at the Same Time? Can You Be a Resident of Two States at the Same Time? You can be a resident of two states but you may want to avoid it. If your life mostly involves just one state, filing state taxes is relatively simple. When your life involves more than one state, things can get complicated pretty quickly. Everything depends on residency. It determines where you have to file, what kind of return you have to file, and how much you’ll be taxed. The problem is, determining residency is more complicated than it sounds. The states have convoluted and differing definitions of what constitutes a resident. Generally, you can only be a full resident of one state. Most filers who spend time in two states end up filing a resident return to one state and a non-resident return to the other. Yes, it is possible to be a resident of two different states at the same time, though it’s pretty rare. One of the most common of these situations involves someone whose domicile is their home state, but who has been living in a different state for work for more than 184 days. In a situation like this it is conceivable that you could be the resident of two states. Filing as a resident in two states should be avoided whenever possible. States where you are a resident have the right to tax ALL of your income. This is regardless of where it was earned. If you are a resident of two states, you will likely end up paying more in state taxes than if you were a resident of just one, or a resident of one state and a nonresident of another. The first thing to do if you think it’s possible that you could qualify as a resident in more than one state is to check the definitions of residency. Each state has its own definition of who constitutes a resident. It’s possible that, according to the exact definitions of the law, that you aren’t actually a resident of two states. Generally you are considered a resident if your domicile is that state, or (if your domicile is another state) you maintained a permanent place of abode in that state and spent more than 184 days there during the year. Most state tax authorities have a page explaining what exactly constitutes a resident in their state. If you can’t find a page on their website, try checking the tax return instructions themselves. Most include a section on residency. If you only worked in a state, or lived there for a brief amount of time – in a vacation home, for example – you likely aren’t a resident. In this case, you’d only file as a resident in your normal home state. You would then file as a nonresident in the other state only if you earned money there. If you move from one state to another during the year, you’ll file as a part-year resident in both states. You’ll be treated as a resident of each state for only the days that you lived in that state. This will help you to avoid being double-taxed. Don’t make the mistake of filing as a resident in both states if you permanently left one state and moved to another. Exemptions for students, military personnel, expats, etc. Most states also have exemptions for students who attend college out-of-state as well as members of the military and their spouses who often have to move from one state to another. These people are generally considered residents of their home states. For more information about filing taxes in two different states, please refer to this blog post. 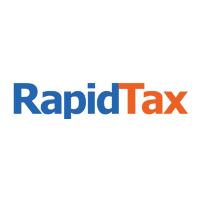 And don’t forget, you can always file a return for multiple states with the help of RapidTax. My family lives in one state (St 1) and we own a home there. I changed jobs to another state (St 2) where i have an apartment and spend more than 184 days for work but then come home for the weekend and holidays. I’m considered a resident of St 2 (residency test) and also for St 1 (domicile test). Earned income gets taxed in St 2 and I take a credit on St 1 return for that. Question is which state gets the taxes on my invest income? Previous PostPrevious Do I Claim Zero, One, Two W-4 Allowances? Next PostNext Do I Pay State Taxes If I Live in Florida and Work in Georgia?